OpenBSD is dual booted with win10. UEFI SSDT SSDT DMAR SSDT ASF! > UEFI SSDT SSDT DMAR SSDT ASF! I have tried applying syspatch & using current with - same result. Is there a way to run smt=1 on boot? I suspect that it can be related. > Is there a way to run smt=1 on boot? I suspect that it can be related. kernel with smt=1 to confirm this? right direction so I can upgrade to 6.4 with smt=1 kernel. I think I have come to conclusion too fast. the boot is stuck at the same place. 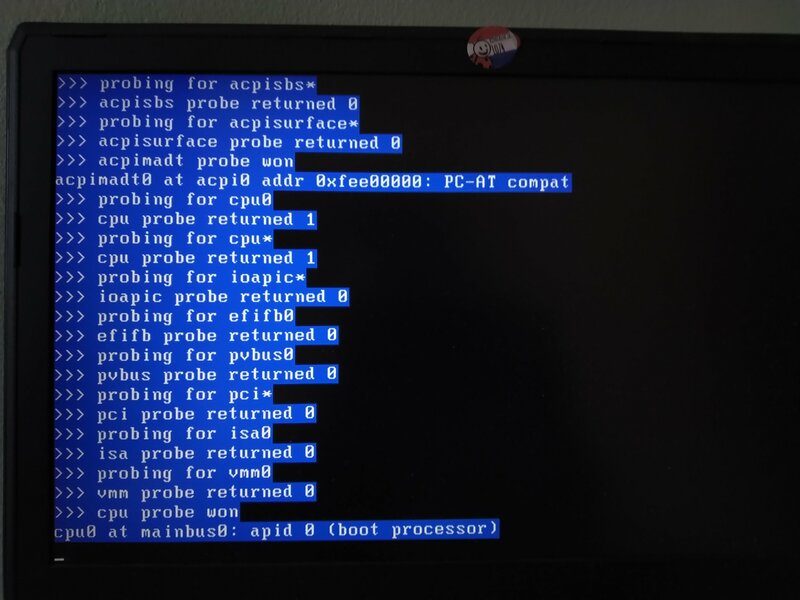 Someone asked if I am booting /bsd - yes. < uhidev1 at uhub0 port 9 configuration 1 interface 0 "Elan USB Keyboard"
> uhidev1 at uhub0 port 9 configuration 1 interface 0 "Elan USB Keyboard"
< uhidev2 at uhub0 port 9 configuration 1 interface 1 "Elan USB Keyboard"
> uhidev2 at uhub0 port 9 configuration 1 interface 1 "Elan USB Keyboard"
If I can recall correctly this could be a thing with 6.4 too. > I think I have come to conclusion too fast. > the boot is stuck at the same place. > Someone asked if I am booting /bsd - yes. I have found that intel-firmware is the root cause. Uninstalling it on 6.3/6.4 makes .mp work. >> I think I have come to conclusion too fast. >> the boot is stuck at the same place. 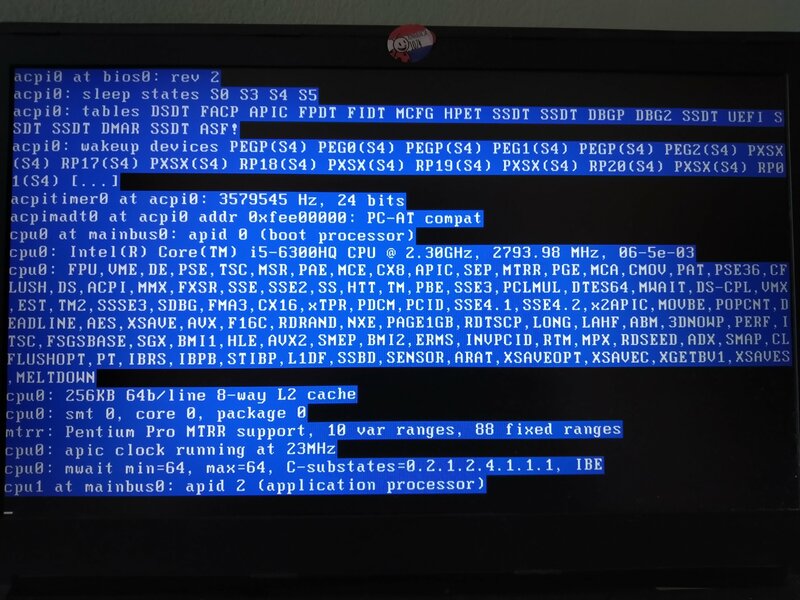 >> Someone asked if I am booting /bsd - yes. > know what it was.